Somnambulant Gamer: Game? More Like a Masterpiece! Game? More Like a Masterpiece! Since games have become a publicly viable medium for storytelling, every generation of games has had it's masterpiece. 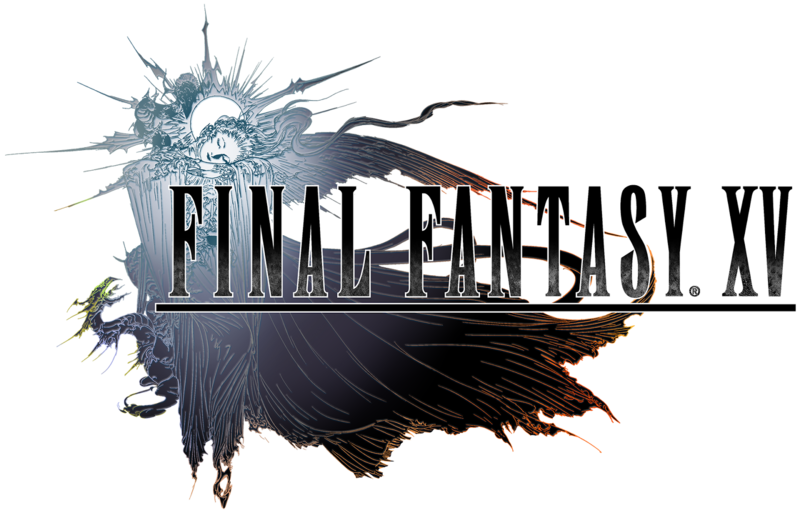 I believe that this generation's masterpiece is Final Fantasy XV. First of all, while I enjoy watching others play RPG style games, I find that they are a mite more than I want to deal with, with hours of inventory diving and changing equipment for the most powerfully configured character. For the most part, this is the majority of Final Fantasy games, which while the storylines are incredible, I just don't want to deal with that level of granularity. 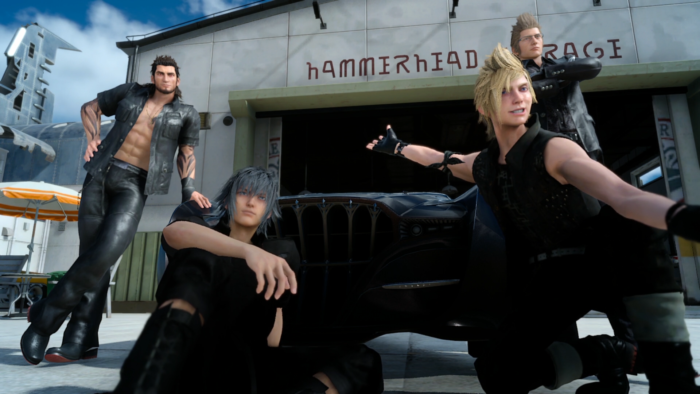 FFXV breaks that mold, or is making me configure all of these little thins without realizing it. Playing the preview at PAX, I found the graphics to be absolutely beautiful, with graphics either trying to be cartoony, pixelated, or too real, somehow FFXV pulls off the magic of the "OMG it's so REAL" It was refreshing to look at the surroundings. The combat moves quickly and doesn't rely upon turn based tactics, but makes you rely on realtime combat/dodging and AI companions with which to pull off combos. 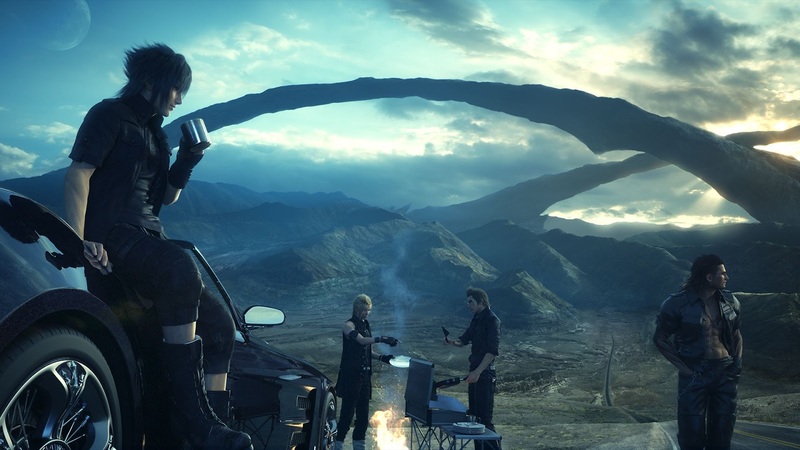 There are also some fun additions that provide some additional variety for the game including Ignis' cooking at camp in the evening, Prompto's photos which you view and create an album of whenever you rest, Galdio's love of ramen and beating up the strongest monsters. Each has their place. Finally getting to play and observe the full game once it released, was an adventure for me. Prepare to laugh, prepare to have your heart warmed and broken it has everything! First of all the combat system allows for some awesome moves and challenges without being overly complex (as are the equipment and stats systems). 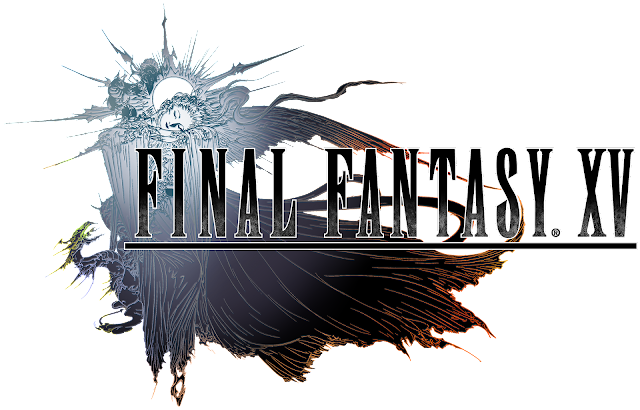 What caught me most was the story and depth of the sidequests, not to mention the surrounding material such as the Kingsglaive movie and future episode DLC for your AI companions. The story holds together better than a lot of open world RPG's I've played. It is a true coming of age story; full of friendship, action, romance, fishing, time traveling dogs, competent villainy, well placed ads (looking at you Cup o' Noodle quest), and tasteful fan service for long-time fans of the series. I laughed, I cried, I stayed up way too late and played way too many hours for this not to be a great game. Most impressive of all, I can't think of a single thing that was completely unnecessary. Everything in FFVX felt like it was a crucial part of the game. This was a masterpiece well worth the wait and expense. I will never hear the song "Stand by Me" without some major emotional attachment again thanks to FFXV.